It’s hard to stand out in the increasingly crowded field of mobile payments. There’s Paypal, Obopay, Zong, Boku, Intuit, Bling Nation, Visa, Jack Dorsey’s Square and several others all chomping at the bit to get a larger slice of this fragmented market. And then there’s Aaron Greenspan’s FaceCash. If you recall, Greenspan is the other Harvard student who almost launched Facebook— or at least another service by the same name. Several months before Zuckerberg released “the Facebook,” Greenspan was touting his own project, houseSYSTEM, which highlighted a student search service called “the Face Book.”As the story goes, Zuckerberg and Greenspan exchanged a few e-mails but Zuckerberg forged ahead with his own plans and eventually built a multi-billion-dollar company— Greenspan was not so lucky. HouseSYSTEM failed and several other ventures, including the now defunct Qubescape, never became breakout hits. Now, Greenspan is betting the proverbial farm, and his savings, on his payment network ThinkLink and its marquee service, FaceCash. Simply, FaceCash connects a user’s bank account to a bar code. A user signs up on ThinkLink’s website (ThinkLink is part of Greenspan’s Think Computer Corporation) and enters personal information: address, bank account numbers, social security, etc., and a photograph. 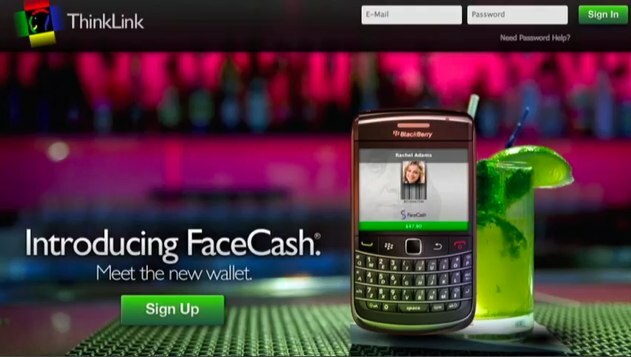 After a user transfers funds to FaceCash, those funds are accessible through the personal bar code via FaceCash’s iPhone/Android mobile app or the ThinkLink website. Any retailer who has signed up for FaceCash, owns a computer and a non-laser bar code scanner (a fairly common device) will be able to process Face Cash transactions. In other words, if you walked into a FaceCash-enabled restaurant, you could pay by opening the mobile app and displaying the barcode. The retailer would scan the code, check your photograph and complete the transaction. As an added bonus, you can also exchange money between users via Bump technology. While the payment process is not easier than using a plain Jane credit card, it is certainly simple enough to provide a viable alternative. FaceCash also has one clear advantage: the cost. Greenspan’s ambitious venture only charges 1.5% for each transaction. On average, a retailer pays roughly 3% for each credit card transaction. The vast majority of mobile payments providers are far more expensive. For example, Square charges retailers 2.75% plus 15 cents per sale. In addition any mobile payments provider that goes through carrier billing can be on the hook for as much as 10-50% of the cost of the transaction (carriers have only recently started to draw down their high rates). For a retailer, there’s a clear value proposition. Join FaceCash and save roughly 50% a year on your credit card processing fees. Unfortunately, there’s a significant chicken-egg problem here. Unless there’s a large user base, retailers may not go through the trouble of signing up and installing the proper scanner (even if it’s a low barrier to entry). And if there’s not a critical mass of retailers, users will not want to go through the process of linking up their banking accounts, divulging personal information and downloading a smartphone app. The challenge of adoption is evident in FaceCash’s current numbers. Since it’s launch, earlier this year, there are less than 200 active users and six retailers in the Palo Alto area. Cognizant of this hurdle, Greenspan says he’s tackling a mixed strategy of going for local merchants and national retailers. While it will be important to build out FaceCash’s presence in key locations, like Palo Alto, Greenspan says a strong bond with major national partners is the key to accelerating adoption and bringing some much needed exposure to FaceCash. So far, they are finding some success. This week, one of the country’s largest food chains, Subway, agreed to sign-on— a major coup for the fledgling company. The partnership will start small. For now, FaceCash payments are only accepted in Subway’s Palo Alto store, but other locations are expected to adopt the service later this year. Fundamentally, I think FaceCash is a solid idea. In its current form it could not supplant the credit card (no option to get a line of credit), nor help the under-banked, but at the very least it’s a strong competitor to several mobile payment providers, in particular, the much buzzed about Square. We need more low-cost alternatives in this space, and a service that neatly bypasses credit card companies and carriers is an ultimate win for the consumer. That is, if the consumer pays attention. Will Subway be enough to tip the scales in their favor? Probably not, but it’s a notable start. For my interview with Greenspan see above, he discusses the challenge of adding users and the complications of running a mobile payments company.